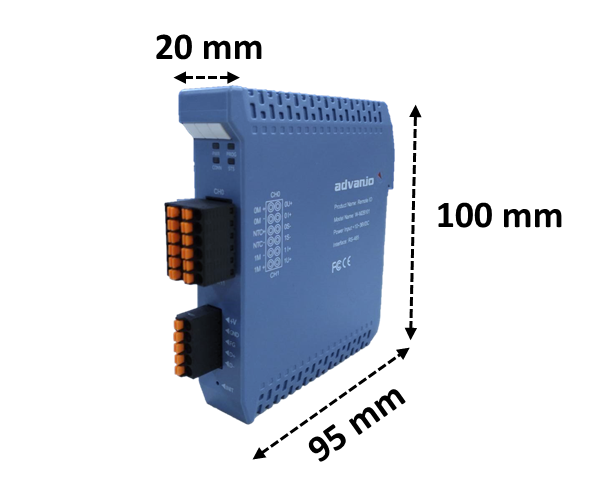 Ethernet Remote I/O Module - Latest News | Advanio Technology Co., Ltd.
Advanio, an innovative supplier of industrial communication solutions, is launching the W-M2B and W-M2J series of Modbus RTU / TCP Remote I/O modules, which have been designed to provide 2~8 Channel options, RS-485, and Ethernet communication. The benefits of the W-M2B & W-M2J series I/O modules are simpler wiring, reduced assembly errors and easier and faster repeat. Assembly which assures there also will be lower overall system cost, moreover, an added plus is that the new W-M2B & W-M2J series I/O modules are smaller more 5-10 % than others. It also creates a more modular design that can save floor space and reduce control enclosure size. The Wolf W-M2B Series provides 2-8 Channels which include Analog, Digital and Relay inputs/outputs modules. Some modules even with high common mode voltage protection. The W-M2B Series' interface is RS-485 and the Transmission Control Protocol is Modbus RTU. The Wolf W-M2J Series provides 2-8 Channels which include Analog, Digital and Relay inputs/outputs modules. Some modules even with high common mode voltage protection. The W-M2J Series' interface is Ethernet and the Transmission Control Protocol is Modbus TCP. The Wolf W-M2B & M-2J Series can be extended with up to 12 expansion modules. 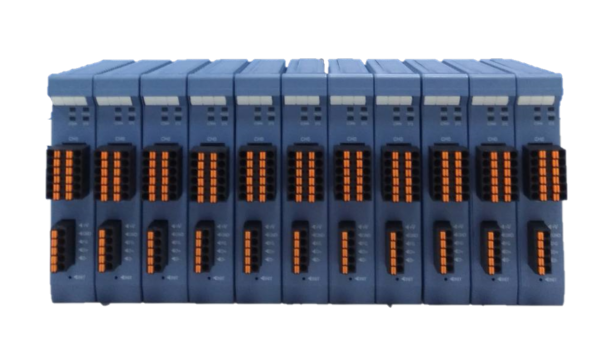 Various modules with different capacities at inputs/outputs allow flexible process integration which meets your requirements. 2~8 Channels options at cheaper prices than the traditional I/O modules. RS-485 and Ethernet interface and with Modbus RTU or TCP transmission. Setup and manage the modules at one time with Advanio's Utility software. You could also contact our Sales Manager to require further and up-to-date information of W-M2B and W-M2J Series.